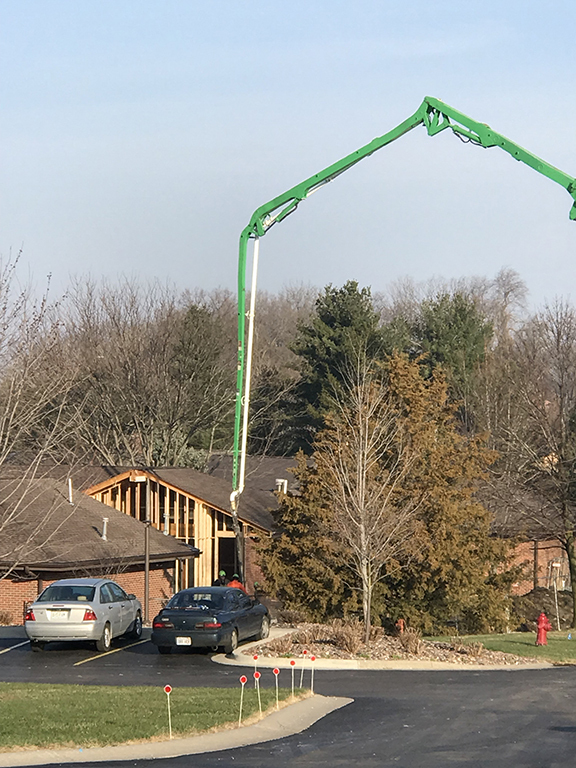 With many months of planning and design, the renovation of Precious Blood Renewal Center is well underway. City permits were received the first of February and construction immediately began. 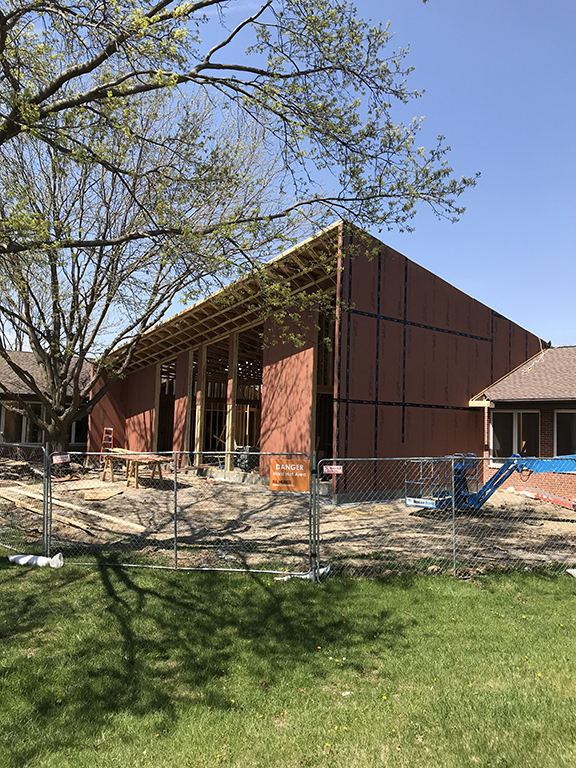 The construction process is moving along quite well, with our anticipated construction completion for early fall and occupancy in mid fall 2018. The project includes removing the roof, fireplace and the area surrounding, at the center of the existing Stukenborg Mission House. New construction is then inserted, which creates a large gathering area in its place. The new roof line rises to greet the visitor and the ceiling will rise and fall imitating that same movement. The design is provides adequate space, appropriate adjacencies and accessibility for our guests, programs and events. The new building design provides an architectural reflection of transformation and renewal. 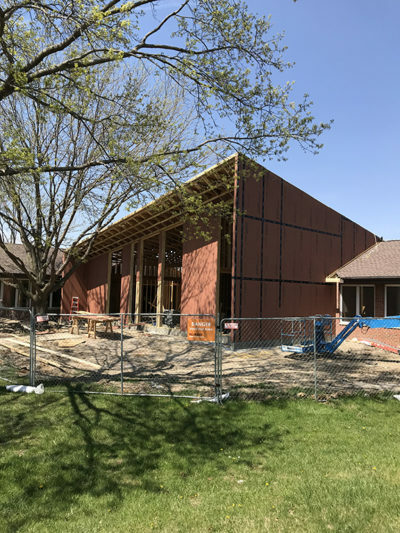 The areas on either side of the new construction insert are being renovated to provide support areas, such as serving area, warming kitchen, offices, storage, toilets, library, spiritual direction rooms and a small gathering area. The weather will continue to be a potential scheduling factor for another month or so as the new roof and enclosure are completed. The project does include additional parking and site improvement work which also may be affected by weather. 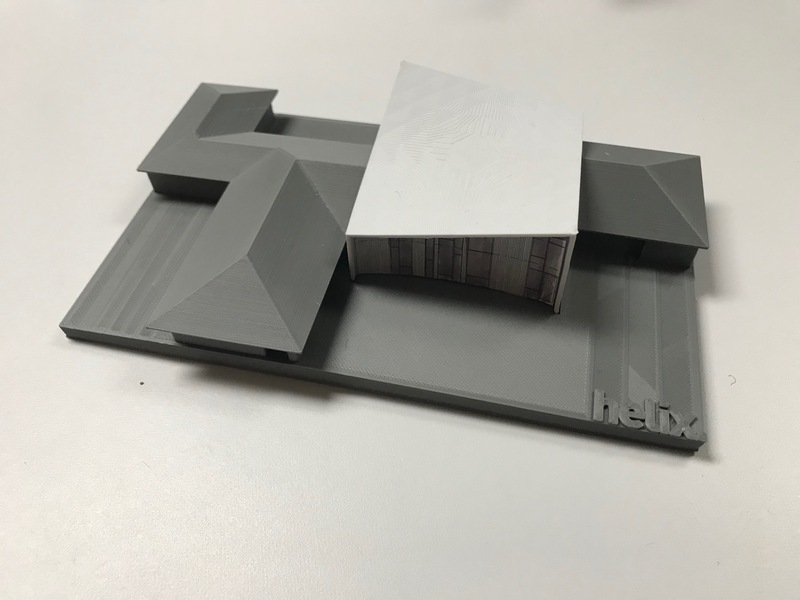 The design team and architects are feeling confident at this time that we will finish to have our grand opening, tentatively the end of October. Once the roof and walls are completed, we will issue a save the date for our grand opening event. The Renewal Center team is working on plans for a creative experience for all. We are hopeful everyone will be able to attend.